What Happens When My Car is Totaled? Let Breezy Point Auto Body help! A car accident is always an unfortunate event. It’s especially bad when your car ends up being undrivable. When a car’s damages are beyond repair, or the cost to fix the car exceeds the value of the car, it’s considered a total loss. In some cases, an Auto Body Shop in Stratford, CT like Breezy Point Auto Body can help you find a solution. 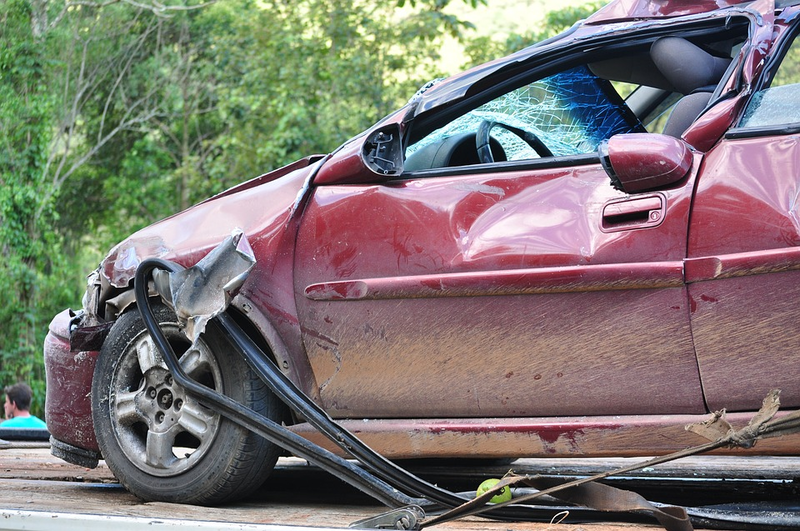 In most cases, the insurer determines whether a vehicle is considered a total loss. Comprehensive coverage and collision coverage help pay to replace a totaled vehicle. But, if your vehicle is totaled and you don’t have comprehensive or collision coverage, you may have to pay out of pocket to buy a replacement vehicle. To determine your car’s worth (the “actual cash value” in insurance terms) at the time of the accident, insurers typically use a number of factors to figure your car’s actual cash value, including its age, condition, mileage and resale value, in addition to the selling price of similar vehicles in your area. In the end, the choice to repair or replace a total loss vehicle will come down to how much value the vehicle has to you. The insurance company will give you the money to purchase a new vehicle and take ownership of your totaled vehicle. But, it’s still up to you whether you want to repair or replace the car. In most cases, it’s a good idea to take the money and replace the car. You should go through with repairs if your insurance will cover it. You should also consider repairs if you have the means to cover them without it causing you any problems or hardships. Before you send your car to the junkyard, consider some options for repair. If sentimental value makes you want to keep the vehicle, a good auto body shop may be able to resurrect your car. To keep it, the insurance company must first be convinced. Once an agreement is struck, you won’t receive a check for the car’s entire value. From the payout, the insurance company will subtract the deductible, along with deducting the estimated amount it would have received from a salvage yard. It may also deduct some other costs or fees. You can then use whatever is left to make the needed repairs, which are now your responsibility. It’s smart to know what the repairs will cost before launching efforts to keep the car. Once a car is declared a total loss by your insurance company, its title receives a brand indicating a prior condition, such as “flood,” “salvage” or “reconstructed.” This is a red flag that might prevent you getting the car insured or create difficulty trading it in or reselling it. If most of the damage is cosmetic, the car would probably be repairable and just as safe to drive as before the accident. In such a case, keeping it would be an option to consider. Hidden damage discovered once repairs begin could run up costs well beyond the car’s value. Moreover, other damage, such as a cracked frame, might not be found at all but would still make the car unsafe to drive. The first step is to contact a reputable auto body shop to get an accurate estimate. Breezy Point Auto Body, a certified Auto Body Shop in Stratford, CT, is a great place to start when trying to decide if you should repair your totaled vehicle. Give them a call for an accurate estimate by dialing (203) 378 4909 or use our convenient Contact form.